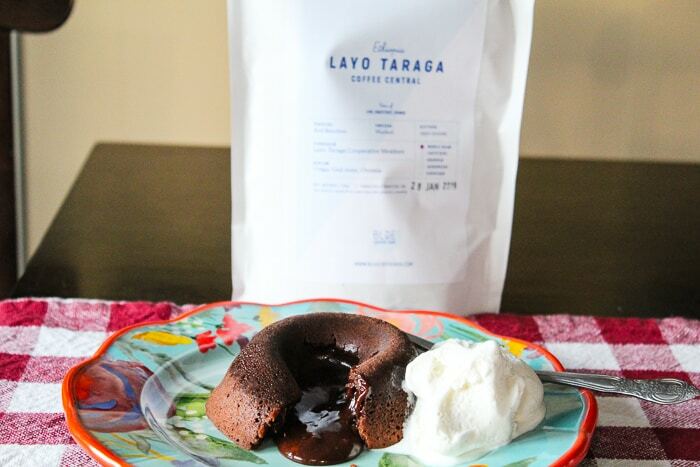 This recipe for Coffee Molten Lava Cake will have your loved one drooling this Valentine’s Day! 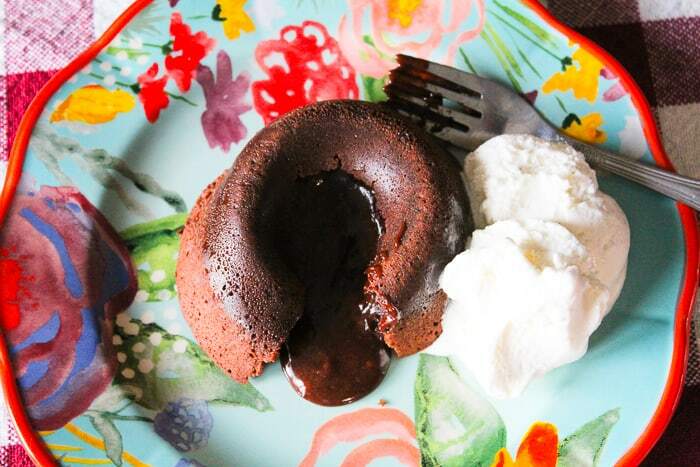 Nothing says love like a molten lava cake for Valentine’s Day. This ooey-gooey chocolate cake has a hint of strong brewed coffee and served with a scoop of Vanilla Bean ice cream. To me, this screams romance. The best part? This recipe yields 4 cakes served in custard cups, which makes it perfect for a dinner date with your Valentine. If you’ve ever had a molten lava cake at a restaurant, you know it’s a one-of-a-kind dessert. I thought it would be so hard to make, but it literally took me a total of 20 minutes to make this dessert, which makes it even better — delicious and quick to whip up! Start out by spraying. your custard cups with a baking spray like PAM Cooking Spray. This is so your cakes won’t stick. Set those aside and prepare your chocolate. Be sure to preheat the oven to 220 degrees Celsius. Melt together the butter, the chocolate and 30g of strong brewed coffee that has been cooled down. Mix together using a whisk. Stir in the sugar until well blended. Whisk in the eggs and egg yolks, then add the vanilla. Stir in the flour. Divide the mixture among the custard cups. Bake until the sides are firm and the centres are soft about 13 minutes. Be sure to let them stand for about a minute. Now, all you are going to do is to invert on individual plates while warm and serve with vanilla ice cream. I promise you that if you fix this dessert for your special someone that they will be super impressed with your dessert skills! With this dessert being warm, when you cut into it, the centre will run like lava and has the most decadent flavour you will ever taste. The coffee pairs perfectly with the chocolate and when eaten with the cold vanilla ice cream, it’s just pure perfection! Preheat the oven to 220 degrees C (425 degrees F). Spray four custard cups with baking spray and place on a baking sheet. 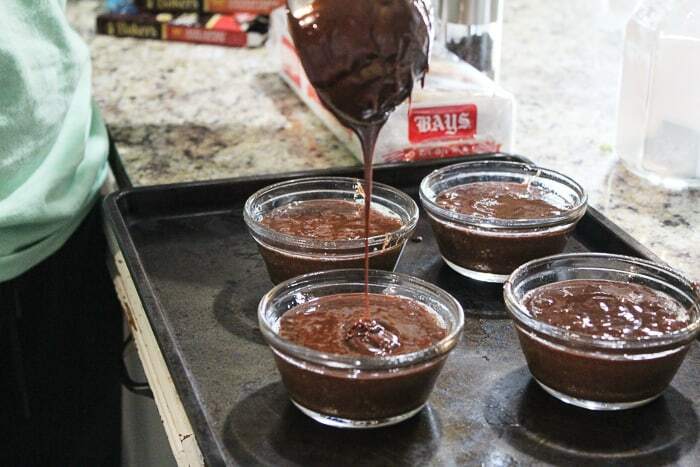 Microwave the butter, unsweet chocolate and plain chocolate in a large bowl on high until the butter is melted, about 1 minute. 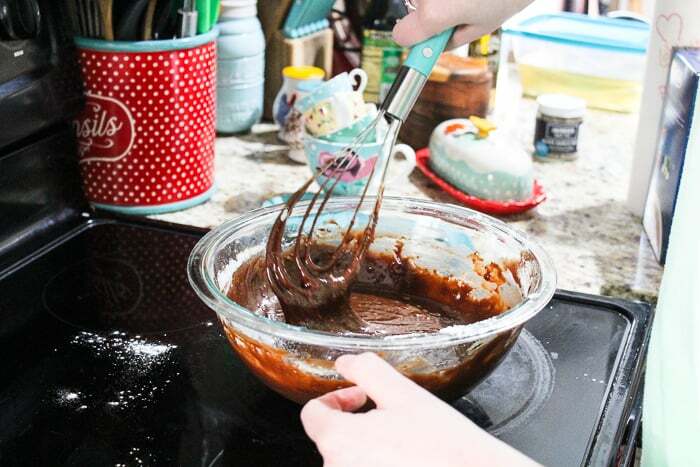 Whisk until the chocolate is also melted. Stir in the icing sugar until well blended. Whisk in the eggs and egg yolks, then add the vanilla. Stir in the flour. Divide the mixture among the custard cups. Bake until the sides are firm and the centers are soft about 13 minutes. Let stand 1 minute. Invert on individual plates while warm and serve with vanilla ice cream. This recipe makes enough for 4 people, or two for each of you — one for now and one for later! For more coffee flavoured recipes, be sure and click here.